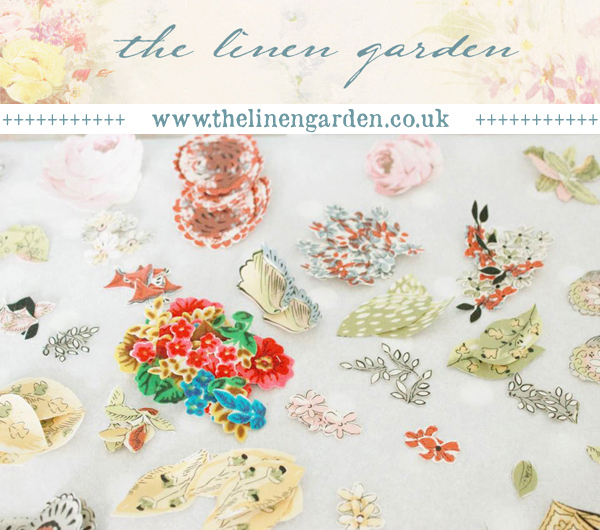 If you haven't yet heard about The Linen Garden and the creative delights of the lovely Vicky Trainor, then oh my goodness are you in for a treat! I first discovered Vicky's gorgeous handmade pieces last year, through the equally lovely Selina Lake. Using her extensive collection of vintage linens and lace Vicky hand stitches the most beautiful wee things, think brooches, bookmarks, pincushions, pillows, door signs and the most beautiful wedding accessories and stationery. 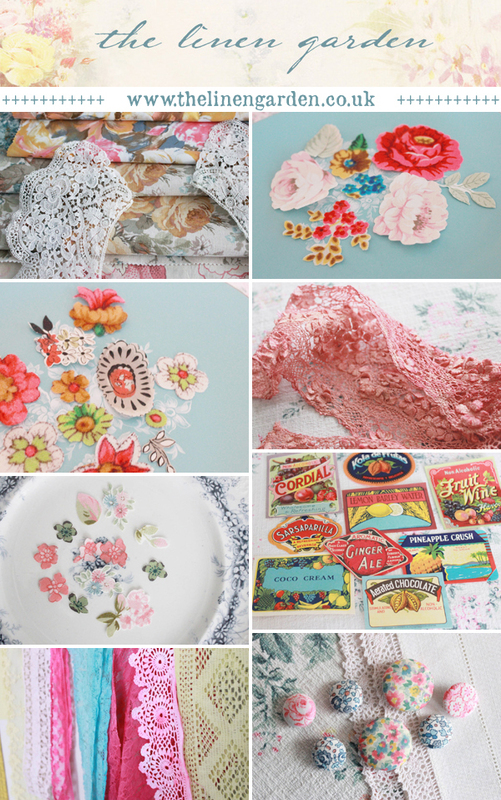 Do take a peek at her Etsy shop, The Vintage Drawer. "an online store decoratively stocked with a collection of 'antiqued & vintage' haberdashery and fabrics for crafters, makers, potterers and creative souls"
...where she is sharing some pieces from her vintage fabric, haberdashery, stationery and trinket collections. Alongside these she is also stocking her own handmade haberdashery pieces including the beautiful floral cut outs she uses in her own work, hand dyed vintage lace and crochet pieces, lavender filled pincushions as well as soon to arrive DIY love brooch kits!